Let me start by telling you a little story… A few years ago, the leaves on one of my houseplants were turning brown, and the plant looked like it was slowly dying. This is one of my easiest to care for, hardiest houseplants so this behavior was very curious. For several weeks, I could not figure out what was wrong with this plant. At first I thought I must have overwatered it, but the soil wasn’t soaking wet, it was actually on the dry side. Then I thought maybe it had spider mites or some other houseplant pest infestation, so I inspected it for pests but found nothing. In fact, I couldn’t find anything to indicate what was wrong with this plant. What Is Wrong With My Houseplant? So I started the observation process that I do when any of my houseplants is sick… I watch it and check it every few days for signs of pest infestation or other issues that might be causing the problem. I was also very careful to be sure I didn’t over or underwater the plant during this time. Then one day during the observation period it hit me, this houseplant was right next to the patio door… and it was January. We open the door quite often during the winter to let our cats out into the screened in porch. Sometimes we will even leave the door open a crack on warmer winter days to allow our cats to have free access to the porch. The problem with this houseplant was that it did not like the cold draft. I’d never had this problem with a houseplant before, so I never thought about the proximity to the door when I put the plant in that location. I never thought about the freezing blast of air that would hit this poor plant every time we opened the door during the winter. No wonder it was upset with me, I would be upset too!! 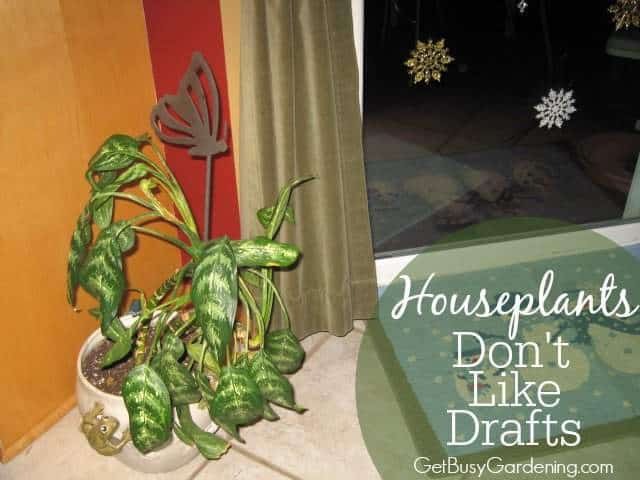 Houseplants are very sensitive to drafts, especially when the air is freezing cold. It only takes a second for plant leaves to freeze when they are exposed to the cold, so my poor houseplant was slowing freezing to death! Once I discovered the problem, I moved the plant to a new location where it thrives today. 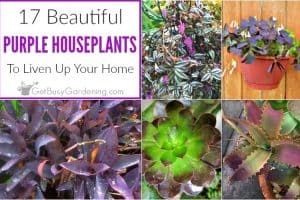 If you live in a cold climate, think about where your houseplants are located in your house. 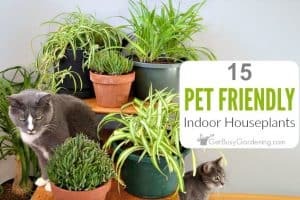 Make sure you don’t put any live plants close enough to a door where they will get a cold blast of air every time you open it. 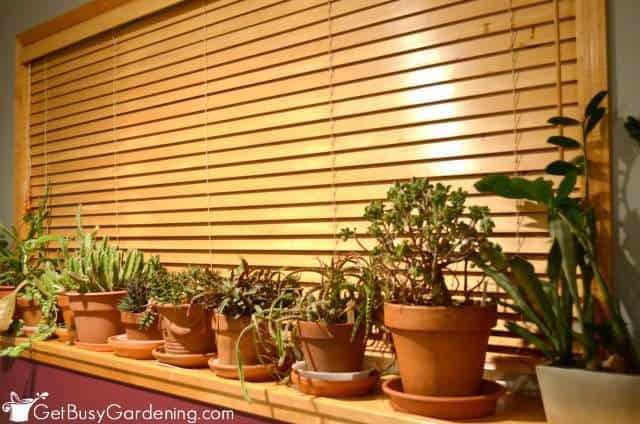 If you have houseplants growing on a window ledge, close the curtains or blinds on cold nights to protect them from drafty windows. Also keep houseplants away from any heat sources in your house, like fireplaces, radiators and heat vents. Blasts of extreme heat can kill a houseplant just like cold drafts can. Have you ever killed a houseplant by accidentally exposing it to drafts? Tell me your story in the comments below. Yes, my plant recovered after I moved it to a less drafy location. 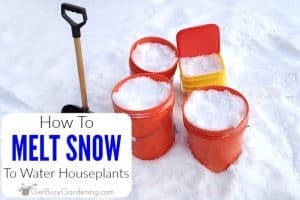 Hopefully you covered your plants when you moved them. Even a few seconds at that temperature could cause major damage to a plant, or could even end up killing it. :-/ Time will tell. I would leave your plants alone and keep an eye on them. Don’t move them around again until they recover. Good luck! 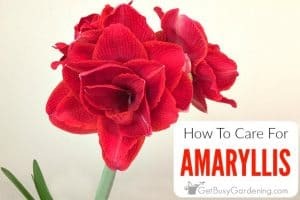 This might be a stupid question, but are there any plants that aren’t so fussy about drafts? I have an AC vent a couple feet away from a window with good light, so I’d like to have something in the window. 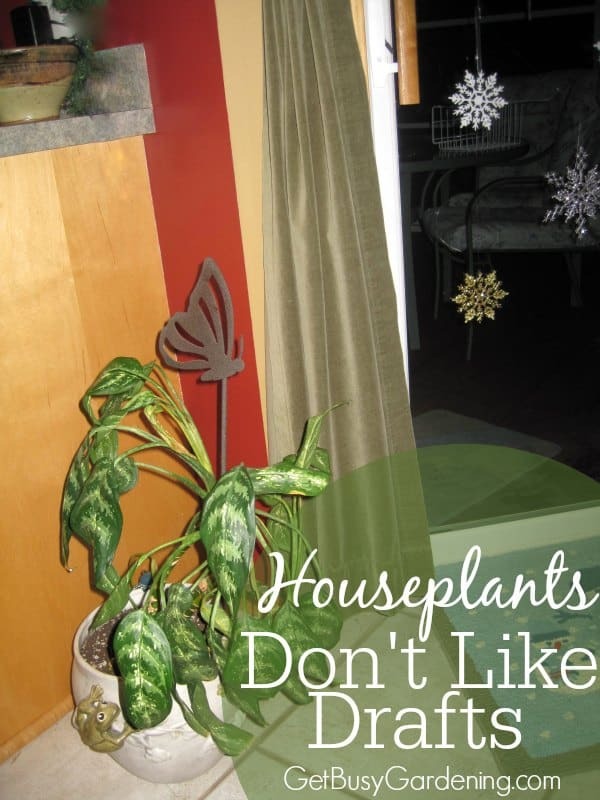 Most common houseplants would tolerate being near an A/C unit. But it depends on how close they are to the cold air. If the cold air is blowing on them constantly, then I wouldn’t put a plant there. But, if it’s a warm, sunny window, then they should be fine. 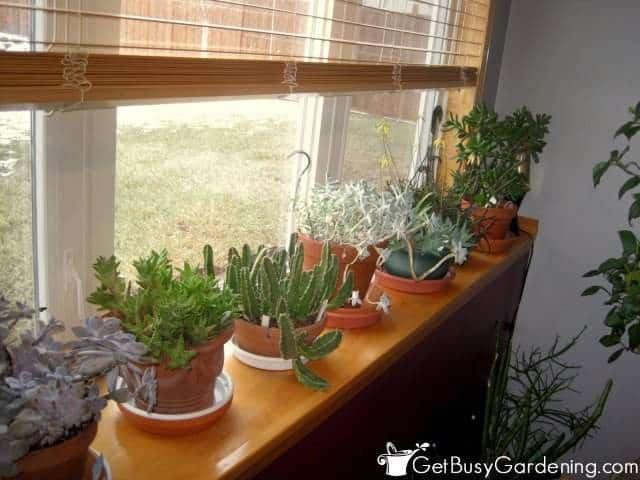 If you decide to put a plant in that window, just keep an eye on it for a few months to make sure there aren’t any signs of stress from the cold air. I used to live in a huge house where I had so many plants. People would give me their ailing plants and I’d have them thriving in no time. Then me moved to a smaller house with the whole front of the house in open concept. Every single plant I’ve had has died. I can’t get anything to grow in here and I assume it’s because of the draft from either the side door or the front door. My question is this: If I were to make kind of like little screens that would stand on the drafty side of the plants, would that help? Making a barrier like you describe to keep the drafty air from blowing on the plants should definitely help. Depending on how many plants you have, you could also try making or buying a small indoor greenhouse. I have one where I put my most sensitive indoor plants during the winter. It’s strange that every single one of your plants died after you moved though. I wonder if something happened to them during the move. Were they left in a hot or freezing cold car, or maybe exposed to full sun for a period of time while they were between houses? I’m suspicious that there’s something else that killed all of your plants right after the move.